Everyone enjoys the crunchy shell, smooth and sweet Ricotta cheese, and rich chocolate chips from this Italian staple. This is the perfect dessert for any special occasion or simply to have after a typical everyday meal, because it is quick and easy to make. Mix ricotta, sugar, vanilla, and chocolate chips in a bowl. Using a spoon or pastry bag, fill the shells with cheese mixture. Serve immediately so shells stay crisp. Everyone loves Chocolate! 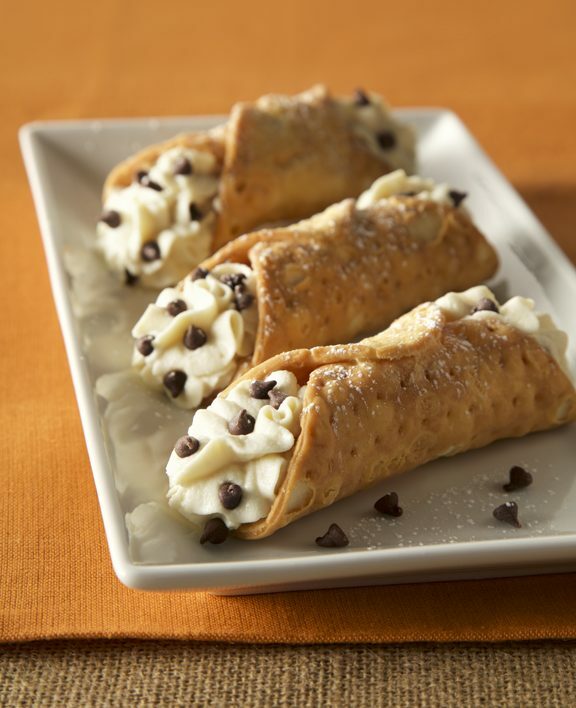 Melt down some of your favorite chocolate and dip the ends of the cannoli shells in prior to adding the filling. Use any of the remaining the melted chocolate and drizzle it across the shells. Add some zest! Sprinkle in some orange or lemon zest to add a pleasant aroma and some subtle, bright, flavors to this Italian classic.